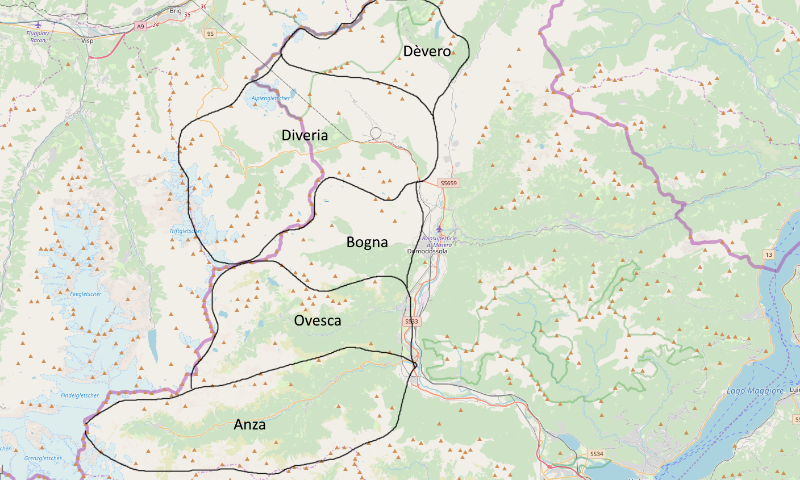 Diveria and other Piemonte rivers. Does anyone have any up to date information on rivers outside of Val Sesia? The Gerd Spilker guidebook has loads but the information seems pretty out of date. It seems that there was releases on the Diveria 10 years ago or so. Is that still the case? Re: Diveria and other Piemonte rivers. https://ckfiumi.net/fiume.phtml?regione=12 run it through Google translate. https://ckfiumi.net/consulta.phtml/399/457 for the Dèvero. Hi Simon, the Dèvero looks pretty good however I was hoping someone had information on the Diveria in the next valley to the south. Google earth shows really promising rock features and the Gert Spilker guide speaks highly of it but I'm pretty sure their release information is well out of date. Have you heard of anyone running it recently? Put In: At the middle customs station above the sign km Hotel Gaby. Take Out: At the first oblique weir with water drainage or 500 m after the next weir with mostly complete abstraction. Length: 7 km, 3 hours. Character: Powerful, crystal clear wild river. Steep, confusing cataracts between large, smooth-cut granite blocks. Grades: Right at the start WW6. After the shield falling to 5 + with three digits WW6. Then easier until the first oblique weir. There on the 500 m between the weirs two high wastes, WW6 +. Overall heavier than bottom Ruetz gorge. Special hazards: too high water level. High flow speed. Season: up to and including summer.